The coast of the North East of England from Berwick in the north to Whitby and beyond in the south, has an extremely rich maritime, historic and cultural heritage. From the age of sail and right up to the 1980′s it was one of the principal shipbuilding areas in the UK, a main source of employment for seafarers and fishermen and a way of life for communities steeped in every type of maritime craft and enterprise. 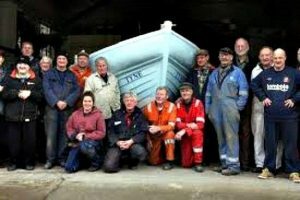 To educate the public in relation to the maritime heritage of the United Kingdom, especially the North East of England, and, in furtherance of this to encourage and facilitate the conservation, restoration, repair, upkeep and public display of historic vessels and maritime craft as well as maritime artefacts of all kinds. The North East Maritime Trust depends entirely on volunteers and donations, if you would like to contribute to the everyday running costs of the trust please donate, thank you. Thanks to Mike Newby for the header (Open Day 2013).